Water that moves, gliding towards the sea, that flows, smoothing the stones. Water that moves mills. 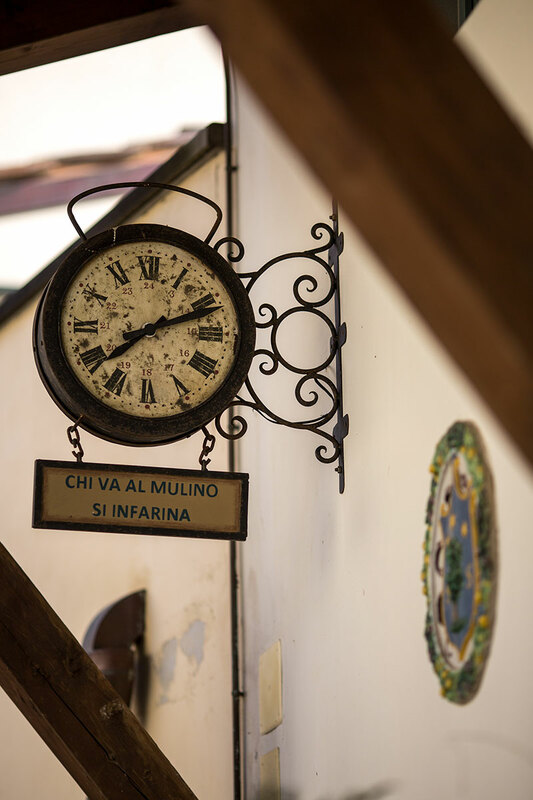 The history of the Mulino di Firenze began between Florence and the Chianti region where the theme is water, sometimes calm and placid, at other times impetuous and fragrant. 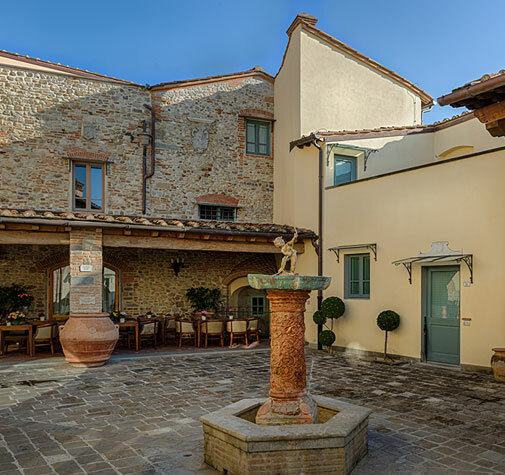 The development of the mills in the Florentine countryside between the seventh and eighth centuries took place thanks to the Basilians, followers of St. Basil and experts in water regulation and woodworking. It is thought the Nave a Rovezzano Mill was the work of these industrious monks from Armenia and Anatolia. The mill soon represented an economic power that was linked to noble residential and church properties. 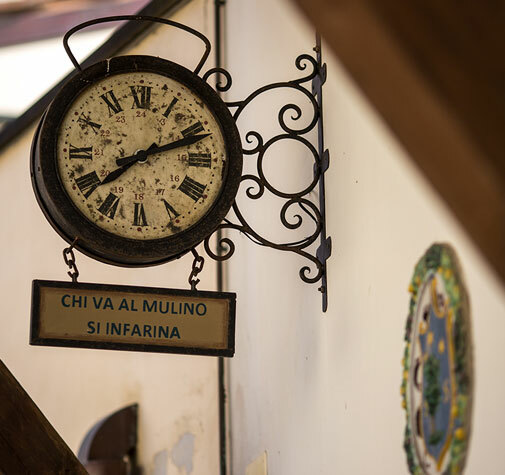 Il Mulino della Nave dates back to 1350 and belonged to the Albizzi family. 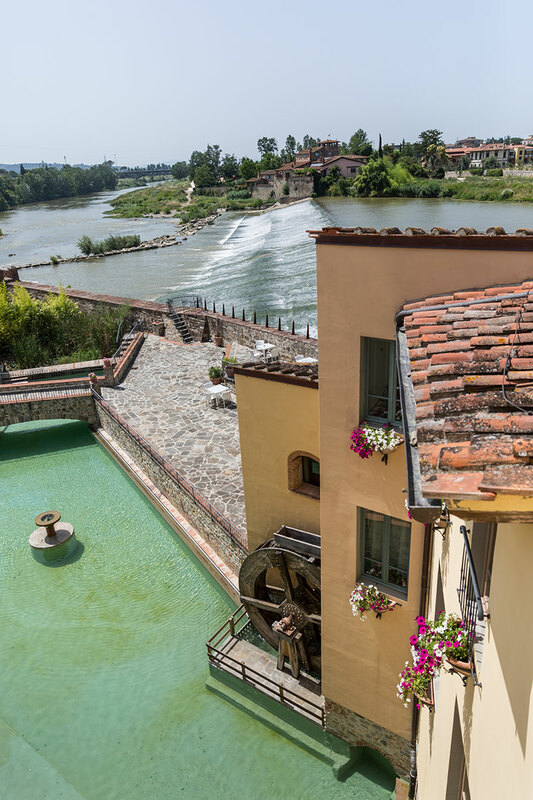 In 1489, Urbino I, fiftieth abbot of the Abbey, Badia di Firenze, bought the Rovezzano Mill on the right bank from Paolo Albizzi for eight hundred and thirty-six gold scudi. 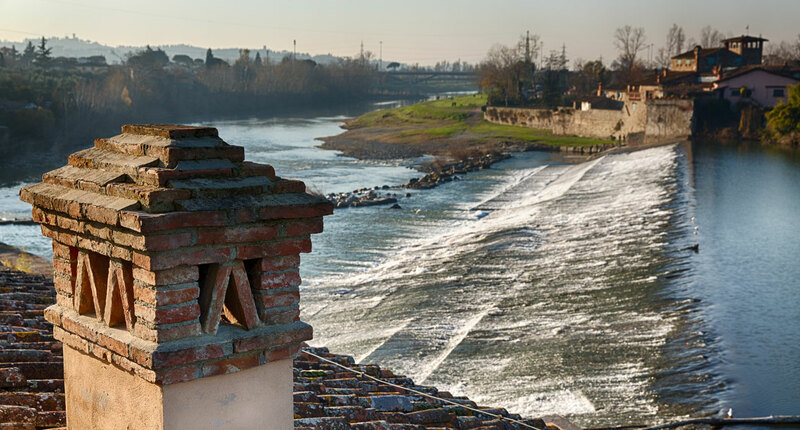 The banks of the river that for centuries was the lifeblood and main throughway tell the story of an agricultural tradition that built Tuscany’s agrifood heritage and landscape. 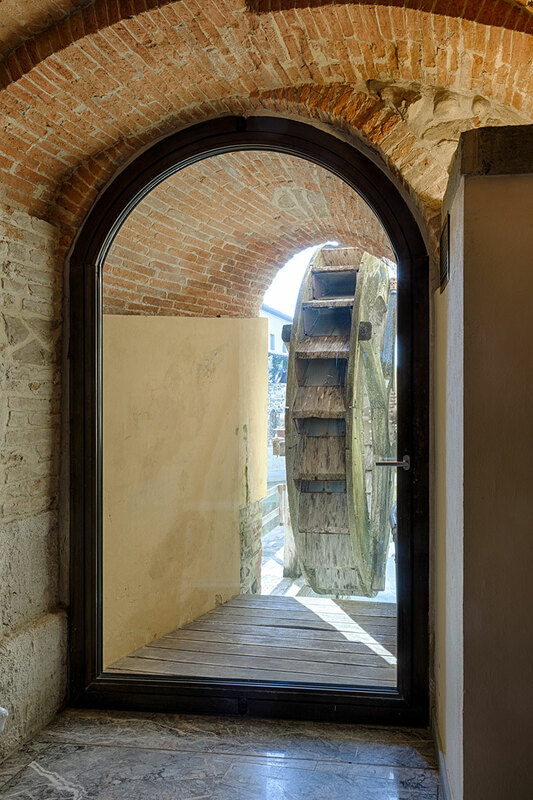 In the restoration, the hotel preserved the original structure that was made for milling. 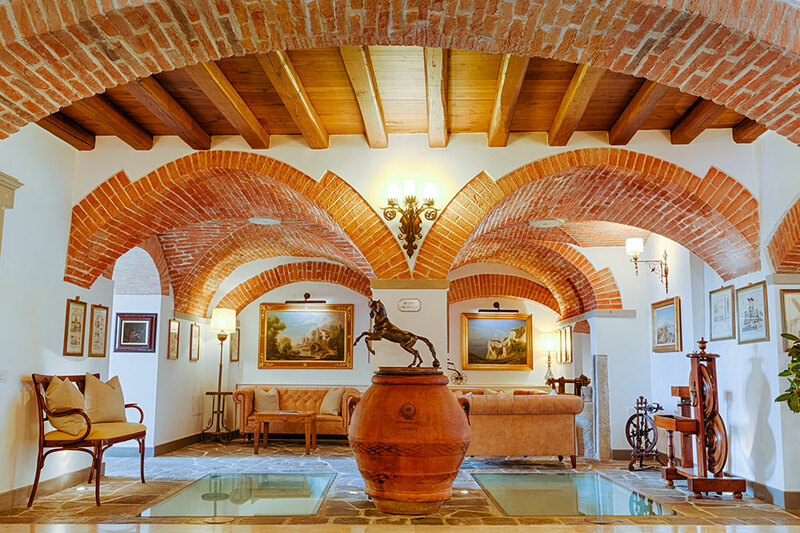 So with the tanks, warehouses, aqueducts and barns, travellers today are fascinated by the genius of this majestic architecture. 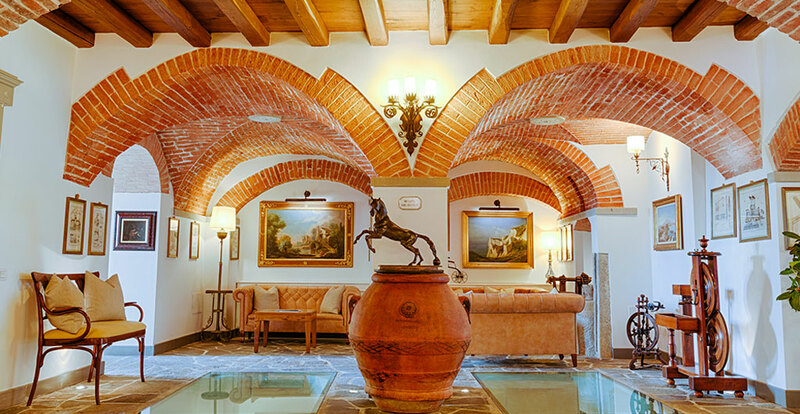 Inside you will be steeped in the typical mill atmosphere with its supporting arches and rib vaults, to continue the fascinating journey and unusual stay in the heart of a mill. 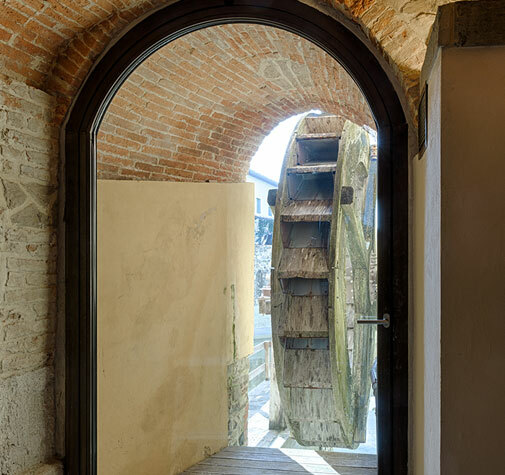 In one of the Hotel’s rooms, you can still see the old 19th-century hydraulic machine from the factory of Engineer Gustav Daverio from Zurich. The external waterwheel, still visible today, bears witness to a glorious past of ingenuity and labour. 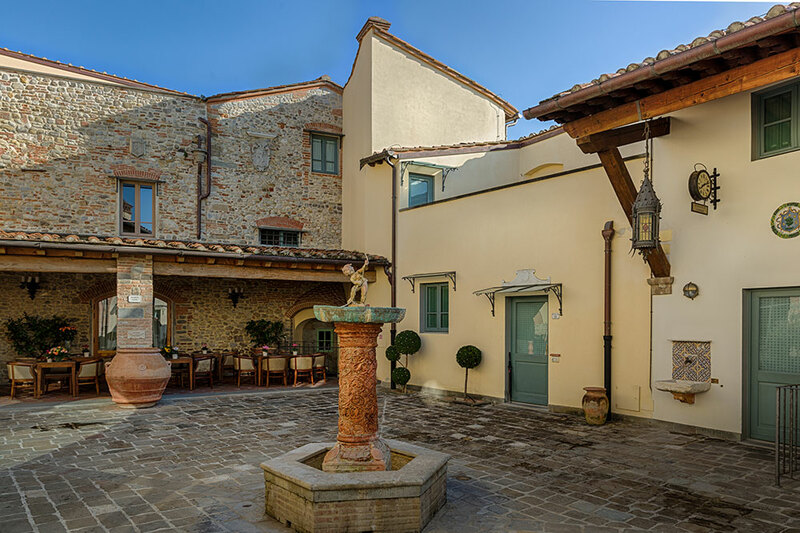 From the ancient entrance to the mill, you reach the "Piazzetta Mauro Lotti", finely recovered from the restoration while preserving the antique splendour of the terracotta paving stones. Today the mill is still there giving thanks to its river, fascinating every traveller who chooses to stay there. 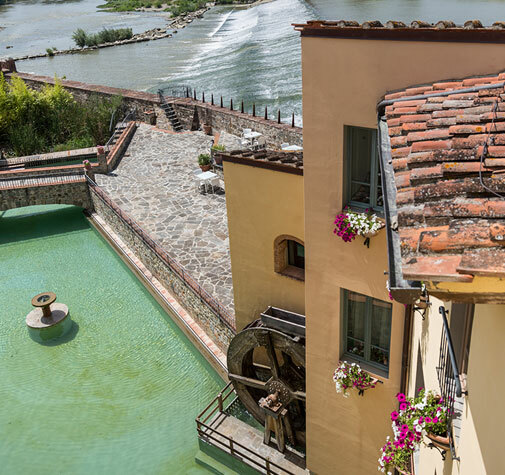 And the Arno reciprocates with its slow flowing, a witness to the history of this area.